If you bought any PAL version of Super Mario Galaxy 2, then congratulations! Nintendo automatically assumes that you’re a moron! 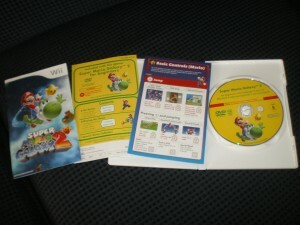 As well as featuring in-game tutorials and demonstrations, the game comes with the usual instruction manual, a shortened “pull-out” version showing the control scheme, an instructional DVD titled “Super Mario Galaxy for Beginners” and yet another manual explaining the DVD. 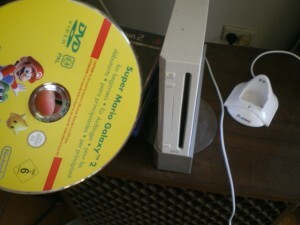 The only thing I can think of that really needs explaining about the DVD is the fact that the Wii doesn’t actually have a DVD player, so jamming it into the console’s disc drive won’t work. But hey! At least it plays GameCube discs, right? If you want to watch the DVD, you’ll have to find some other means. The closest we’ll ever get to playing Mario on a Sony console. I know Super Mario Galaxy 2 is a pretty big game, but surely there’s enough space left on the game disc for Nintendo to just include the tutorial movie without needing to pack in an extra DVD. It is only about half an hour long, after all. Anyway, the tutorial starts by explaining the basics. And it really does mean “the basics.” Anyone who’s touched any game over the last fifteen years —let alone the first Super Mario Galaxy game— shouldn’t need to be told that you move Mario with the analog stick and press A to jump. But for those who haven’t and are somehow incapable of reading the instruction booklet, that’s where the DVD comes in. The narration will either come across as being soothing or grating, depending on your proximity to Britain. Part 2 is titled “Playing the Game,” as if the first part was completely unnecessary. It goes into a bit more detail explaining things like controlling Yoshi and how a second player can get involved, but it’s still just covering what was already in the manual. An easier way to learn this stuff would be to actually PLAY THE GAME. The third part is where things actually get interesting. Rather than just repeating information that was already there in the manual, the Special Movie Collection shows off a bunch of neat tricks, some of which I didn’t know were possible. Most of them are practical, like jumping further by sacrificing Yoshi for the greater good, a la Super Mario World and the “double kick” move (which I still can’t pull off). Other tricks shown —like Mario’s ability to ice skate backwards— seem purely cosmetic, but I wouldn’t have known it even existed without the DVD pointing it out. The last five minutes of the video is devoted purely to a skilled player showing off how you can skip parts of some levels with just a few well-timed jumps. The show-off then proceeds to completely destroy my mini-game high scores. Also, the narration’s gone! Praise be. Don’t try this at home, kiddies. The instructional DVD isn’t completely redundant; it’s just strange that Nintendo decided to include it when the game is already fairly straightforward and already contains enough help to guide new players in. I can see this approach working with something like Monster Hunter Tri or Tatsunoko vs. Capcom, a game that’s more difficult for casual audiences to get into and looks impressive when you see a skilled player showing off. 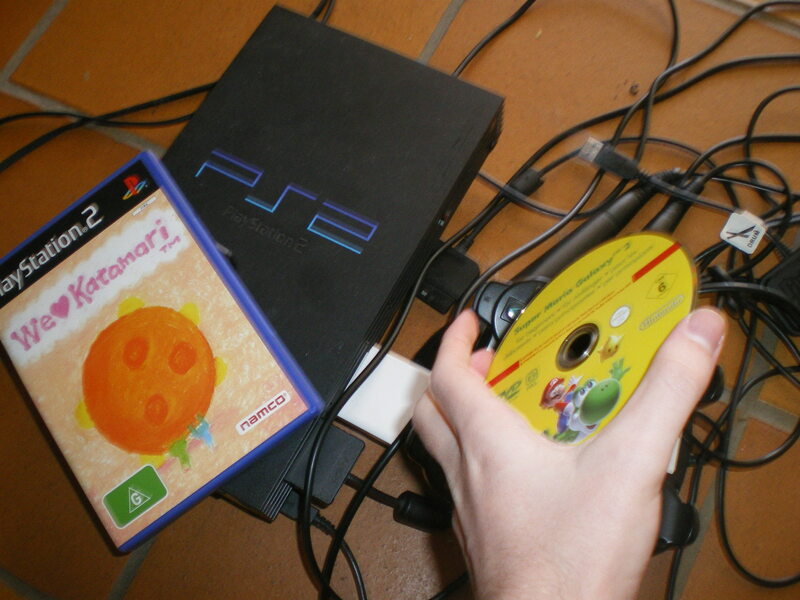 The whole DVD thing just seems like wasted potential on Super Mario Galaxy 2. Oh well, if anything it’s good for a laugh.